One of the first plants to bloom in our mountains, as well in Appalachians as in the Laurentian. It is so discreet that at first sight one could confuse it with a plant dry and dead from the previous summer. 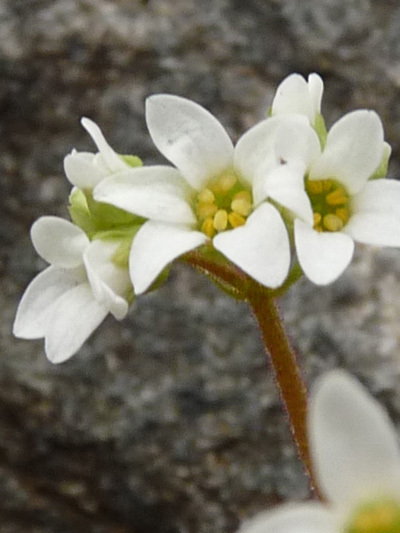 The heavily pubescent stem of the Early saxifrage would aim at preventing the crawling insects from reaching flowers, as they are less well good pollinators than the flying insects.